Use gamification and big data to take customer and employee loyalty to the next level Learn all the game-changing methods for driving customer and employee loyalty that are based on two of the biggest trends in business today: gamification and big data. 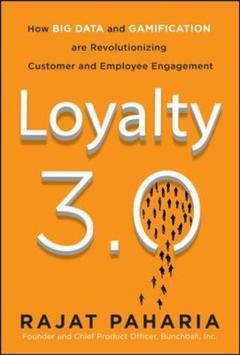 The book explains how previous loyalty-building tactics, such as frequent flyer, hotel, and grocery store programs, were designed before social media and the Internet itself. The approach in this book moves beyond those discreet purchase and incentive-driven experiences to create a system driven by human motivation and digital technology that creates ongoing, persistent engagement among both customers and employees.